Today would be my Grandfather’s 77th birthday. Two days ago, marked two years that he had passed away from cancer. Yesterday, my Grandmother placed flowers on his grave, something that she’s been doing for awhile now. He’s still missed by quite a few people in our family. I was going through my computer, looking for some things for class and found a eulogy that I wrote and read at his funeral. I thought I would share. Wishing you all a blessed day. Icons, heroes, idols, someone you look up to. It starts in early childhood and with most it follows into adulthood. Almost everyone has that special person in their life and mine is my grandfather. He has many titles; my teacher – taught me how to ride a bike then later how to drive a car. 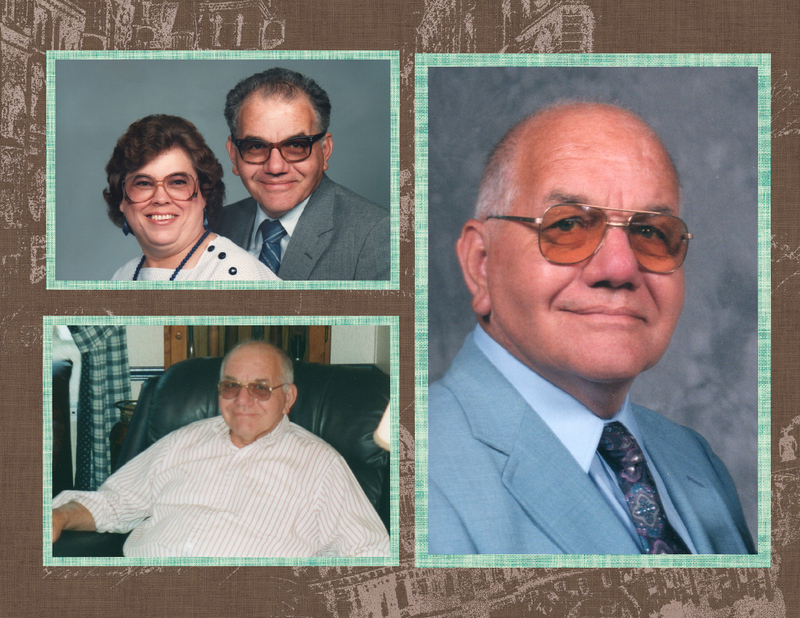 My parent – he helped raise me. My sidekick – grandma named us double trouble from the things we would get ourselves into. He was a husband to my wonderful grandmother for fifty three years. A father to three daughters. A grandfather to five granddaughters and one grandson. A great grandpa to two girls and one boy. 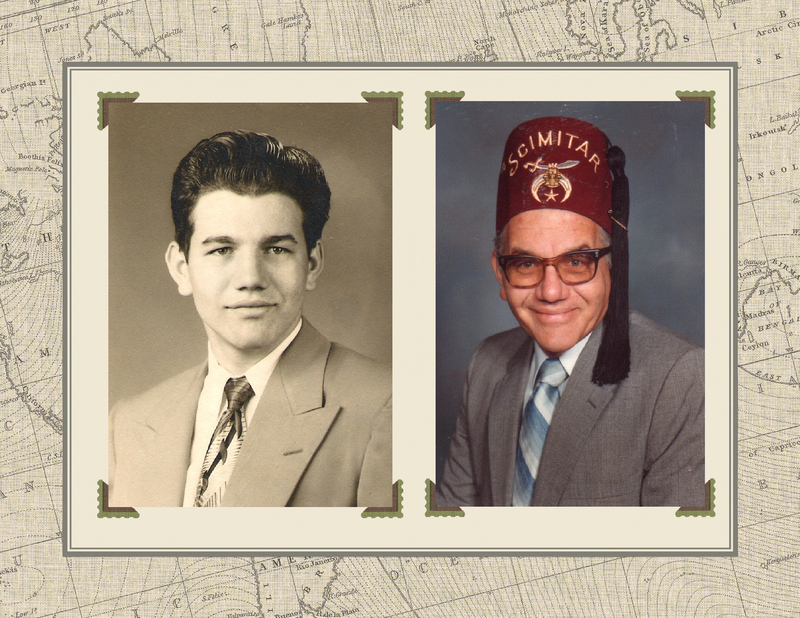 He was a milkman, a baker, a firefighter, a mason, a Shriner, an eastern star, a preacher, and a truck driver. But most of all he was your best friend. He was a God fearing man. Could put a smile on everybody’s face. Was quick with a joke and could always tell you a story. Enjoyed playing practical jokes or pulling pranks for fun. I’m proud to say that I had the chance to have him in my life and that I have many great stories and memories with him and many memories that I’m frequently reminded of, like the time I licked his stamp collection to his floor. I wasn’t even two yet. He use to take me to the post office, sit me on the counter, had me stick my tongue out, dab the stamp on my tongue and place it on the envelope. I had enjoyed licking stamps so much that when we got home I licked his entire stamp collection to his office floor. That was the only time he ever spanked me, which was a light tap on the bum, that hurt him more than it hurt me. He got mad for a few minutes but then laughed about it later. He had such a sweet tooth. Grandma had sent us to the store with the check book to pick up meat and eggs, wecame home with several bags of sweet goodies. Grandma said ‘man, that’s a lot of burger meat and eggs.’ The next time she sent us to the store with $5. I had my checkbook that time. Walked in the door and grandma says, you sure bought a lot of stuff with $5. It was all on sale, I replied. After he came home from the hospital from his accident in North Carolina he was doing such a good job walking, we needed a few things from the store and he asked me if he could drive. Of course I wasn’t going to say no. He had done perfectly well that when we got home I told grandma what a good job he had done. ‘You did what?’ She yelled. I did not know that he wasn’t suppose to drive. I had the chance to go over the road with him for three weeks when I was nineteen. That was an experience I’ll always remember. We were in upstate New York and it was getting dark, then it started to snow and the bottom fell. Grandpa was sitting close to the steering wheel and I was leaning close to the dash on the passenger side and said ‘Grandpa, you’re driving in the middle of the road.’ He replied, ‘I can’t see the road.’ ‘Grandpa there’s a car coming.’ ‘I know honey, I can see that.’ The car had turned off onto another road before we got to it. He then said ‘I’ll pull off onto a rest area.’ We went a few miles down the road before we found a rest area. We couldn’t see the road from the ditch so he decided to continue on to his drop off. We went to North Carolina, which was dripping sweat hot. Then to Houston, Texas. For those who have been there the Interstate goes around in a circle and I noticed and pointed out to grandpa that he passed that sign twice, he said ‘I know. I can’t get over to the outside lane to exit off.’ We went to Beaumont, Texas/ Louisiana. It was night time when we pulled into the place he needed to be. He stopped and got out of the truck, walked to a little building, then came back, put the truck in gear and began driving towards a larger building. I began to notice the surrounds, we were getting closer to the ship and then I looked down and notice we were on a dock, a wooden dock. ‘Grandpa, where are you going?’ ‘Down this way.’ ‘But you’re driving on a wooden dock.’ ‘That’s where they said I had to go.’ ‘Not with me in the truck, on a wooden dock, stop and let me out, I’ll walk.’ I saw the ship was marked, showing the water line was at 60′ deep. Grandpa was always quite the prankster, always playing a practical joke on somebody. Everybody always came to him to decorate a cake for them no matter the occasion. I had the chance to be an icing tester many times. On one occasion I had asked if I could taste the icing and as always he said yes. As he was putting the finally touches on one side of the cake, I had cleared the other side of the cake entirely of its icing. He had turned the cake to look at it and noticed what I did. He had to clear the entire cake of icing and start over again. I believe I was three. He was a very handsome man and was never ever selfish. He was always kind and would help others in anything the need. Always talked to everyone, where ever he went. And had a contagious smile. He had a love for life, friends, family and adventure and never complained once about anything. He was the rock of this family. We may have lost a wonderful man here on earth but heaven received an angel. I will miss our adventures, his pranks, jokes and stories but I know I will get to be with him again and continue on with our memories. 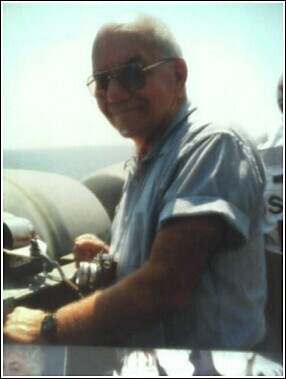 This entry was posted in Blog and tagged cancer, childhood, death, family, firefighter, grandpa, grandparent, grieving, heroes, Icons, idols, mason, parents, Shriner on September 19, 2012 by JenniferNAdams. My grandfather’s birthday was also Sept. 19 and he died a year ago. Missing him too. Lovely post. He sounds like a great man.